The rupee opened on a strong note at 69.76 against the dollar, and appreciated further to 69.76. 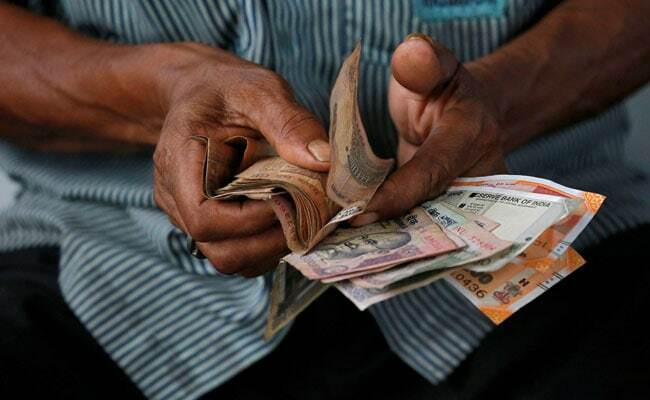 The rupee rose by as much as 20 paise against the dollar in early trade on Monday, rising further from the 70 mark. Weakness in the dollar overseas along with advances in the domestic equity markets on the back of buying across the sectors pushed the rupee higher, say analysts. Domestic stock markets traded higher on Monday amid gains in Asian peers, and were set to finish calendar year 2018 higher. The rupee has depreciated by around 608 paise against the dollar so far this year. The rupee opened at 69.76 against the dollar on Monday, and edged higher to 69.75 in morning trade. The Sensex rose as much as 208 points to an intraday high of 36,285, while the Nifty hit 10,923, up 63 points from the previous close. The dollar index, which measures the American currency against six major peers, rose 0.04 per cent to 96.44. It was on track to end December with a loss of 0.9 per cent but was still up for the year. Significant foreign fund outflows and rising crude oil prices however kept the strength in the rupee in check, news agency Press Trust of India reported citing traders. Crude oil international benchmark Brent gained more than 1 per cent on Monday to trade near the $54 a barrel mark. Foreign funds net sold shares worth Rs 119.60 crore on Friday, while domestic institutional investors (DIIs) net bought equities worth Rs 1,199.40 crore, provisional data from the NSE showed. Analysts expect the rupee to trade in a likely range of 69.55-70.00 against the dollar with a downside bias. “The overall risk sentiment has improved. Asian currencies are trading stronger against the US dollar…Asian stocks trading higher,” said forex advisory firm IFA Global. The rupee, set to end December with only a marginal gain, is likely to finish calendar year with a loss of around 9.5 per cent. Last Friday, the rupee had finished at an over one-week high of 69.95 against the dollar, on strong buying of the greenback by banks and exporters.